The iconic design is back. Chances are, your grandmother’s casserole dishes had that classic blue-and-white cornflower design and seeing it again brings back some warm (and delicious!) memories. Now, you can have your own set — without having to get in a bidding war on eBay. 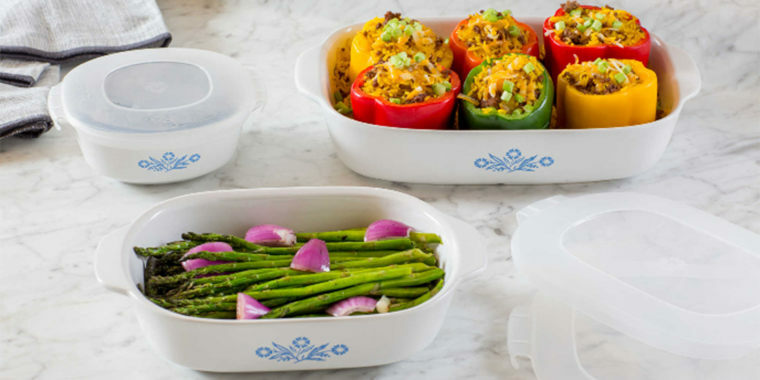 CorningWare is celebrating its 60th anniversary by bringing back the nostalgic design called “Cornflower Blue,” which was an icon of the late 1950s through the 1980s. It’s now available again in everything from the classic casserole dishes to ramekins, serveware and even mixing bowls. In addition to CorningWare dishes, the pattern was also released on Corelle, Pyrex and Chicago Cutlery items, meaning your dinnerware, glass measuring cups and even knives can sport the sweet design. This classic set comes with three baking dishes — a 20 ounce, 1.5 quart and 2.5 quart — each with its own plastic storage lid. They’re made of durable stoneware, but the best part? They’re all safe for the microwave, refrigerator, freezer and dishwasher. Did someone say leftovers? You can put everything from soup to shrimp cocktail in this charming 20-ounce mug that comes with a BPA-free plastic storage lid. Got your grandmother’s favorite apple pie recipe? It would fit perfectly in this sweet 9-inch pie plate adorned with the cornflower design. This set, which would be great as a wedding or housewarming gift, features bowls measuring 1 cup, 1/2 cup, 1/3 cup and 1/4 cup. Dinner party, anyone? This pretty set includes a place setting for four, each with a 10-1/4-inch plate, 6-3/4-inch plate, 18-ounce bowl and 11-ounce stoneware mug. 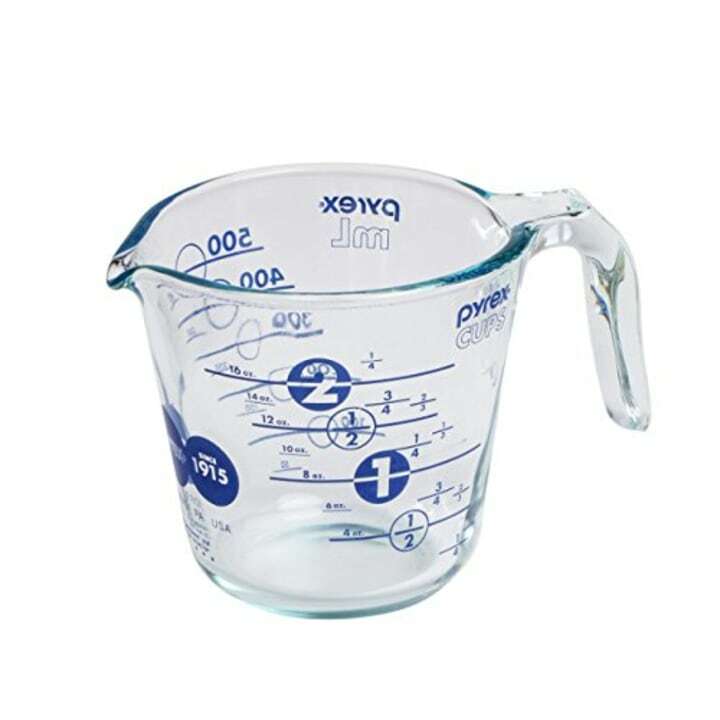 Measure your ingredients in style with this chic glass measuring cup that features the blue cornflower design and easy-to-read measurement markings. Who says knives have to be plain? Here’s a fun stamped design made with colored non-stick coating. 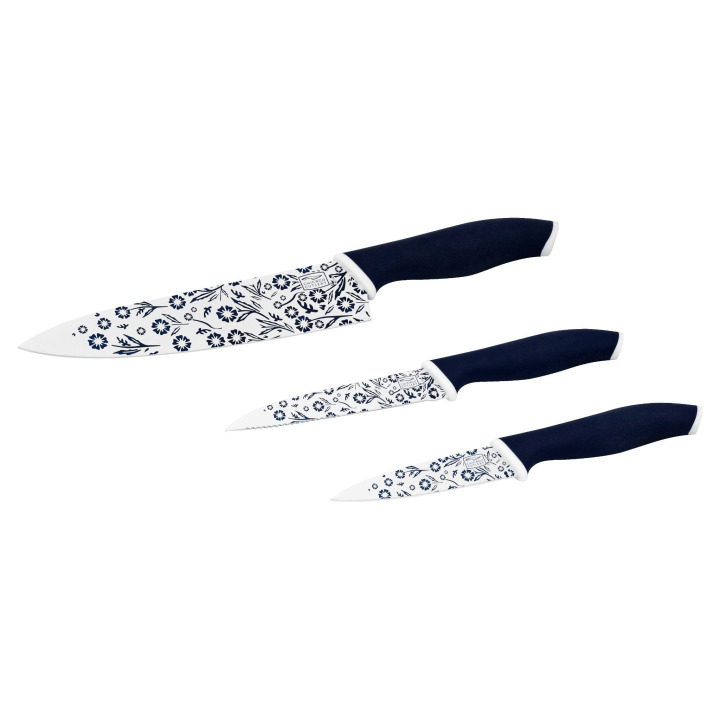 The set includes an 8-inch chef knife, 5-inch utility knife and 3-1/2-inch paring knife. All are high-carbon stainless steel blades and come with soft-grip handles.